This is one of many different definitions of the word “mother”. This year marks my 4th Mother’s Day. Though I have never agreed with the “Hallmark” consumerist nature of this, and so many other, holidays, I do WHOLEHEARTEDLY believe in the celebration of mothers. While, in my opinion, this should be done EVERY day, I am grateful for the national holiday to serve as a reminder of the importance of this role in the lives of others. This year I have had the good fortune of having my mother live near me and my children for the past 4 months. Having lived across the country from my parents for the majority of my adult life, it is a special chapter in my mom's, life, my life, and my daughters' lives. I realize it is a blessing for all of us to be able to spend regular time with each other and share the everyday happenings that often get missed or forgotten, but end up shaping who we are. I am so grateful to have her support and her love to share with my daughters. I am so thankful that my mom chose to be a mother and that she had me as one of her children. Had she not had me, I would not have met the love of my life nor become a mother to my two spunky, intelligent, and loving daughters. When I see her with my children, I see her light up like I never have before. Her capacity and desire to love has been further expanded and she is the happiest I have ever seen. As I watch her embrace her role of Abuela, I am moved to know more about her journey as daughter/mother/grandmother to this point. Here is what I found out. What is the most vivid childhood memory you have of your mother? When did you know that you wanted to be a mother? "I truly can't remember when I knew I wanted o be a mother but when I became one at the tender age of 22, I embraced it with all my heart." What were your initial feelings about motherhood after having your first child? "My initial feelings about motherhood after my first child were of profound love and at times fear and frustration." How did your own mother influence the mother you have become? "My mother was very responsible and strict, and I think I have been a responsible mother but at times too strict in my beliefs"
How did those feelings of motherhood transform as you had your second and third child? What have you found to be most gratifying about motherhood? What has been most challenging for you as a mother? What does it feel like to have your daughter become a mother? 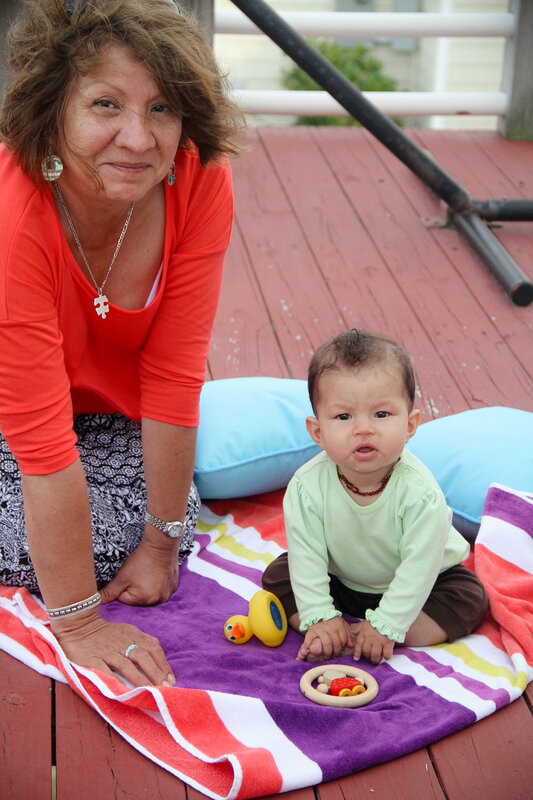 How has becoming a grandmother impacted you? Becoming a grandmother had a great impact. I want to live long and healthy and have strong bond with the grandkids so that I will live in their hearts in happy memories forever. 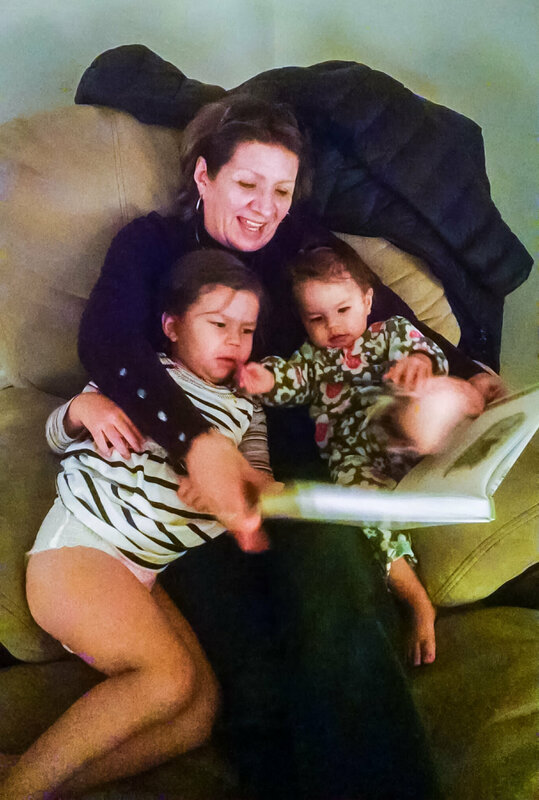 What do you want your granddaughters to know about motherhood? Thanks mom for your HUGE heart. Thanks for modeling such an amazing capacity for love. Not only did you make me feel safe as a child, but your love laid the groundwork for my transformation into mother. I am so happy that my daughters get to experience your unconditional love during these important and influential years in their young lives. I love you mom!